In the global market, we have placed ourselves among the leading manufacturer, exporter, and suppliers of Mud Strainer based in Chennai, Tamil Nadu. These are high-performance strainers and show no signs of damage, even after years of use. 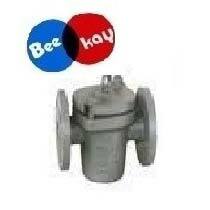 Our strainers are easy to maintain, clean and last for years. Moreover, we offer the supplied product at a nominal price and give assurance of fastest delivery. The packaging options provided by us are also best in the market.